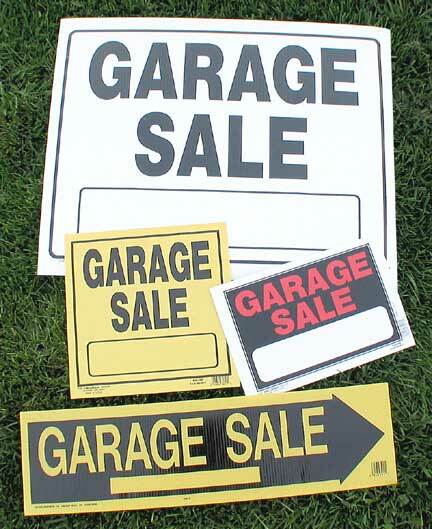 The deadline to submit forms for the Roseway Garage Sale ended today.Â Thank you to everyone who submitted your forms!Â Below, you can find printable signage for your sale, but we suggest if you really want to attract buyers, pick up some florescent neon signs and write in big bold letters and post in conspicuous areas like major cross streets. Price items to sell. 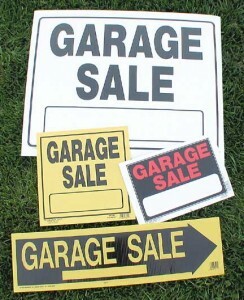 Remember buyers are looking for a bargain and you donâ€™t want to have items left at the end of a day. Signage is important. Spend a little time making quality signs that are clear and easy to read and Remember to take them down at the end of the dayâ€¦donâ€™t leave them up. Organize your merchandise. Use tables, stands or whatever you have to provide shoppers a clear visibility of your items. Protect yourself from sun and heat. Stay Hydrated!! Never leave your sale unattended. Involve your children but keep them protected from the sun and strangers. ADDRESS MAPS WILL BE AVAILABLE THURSDAY MORNING.Â We are still compiling all the addresses and imputing them into a map format.Â Please check back Thursday morning the 17th. Good luck and happy garage sales!